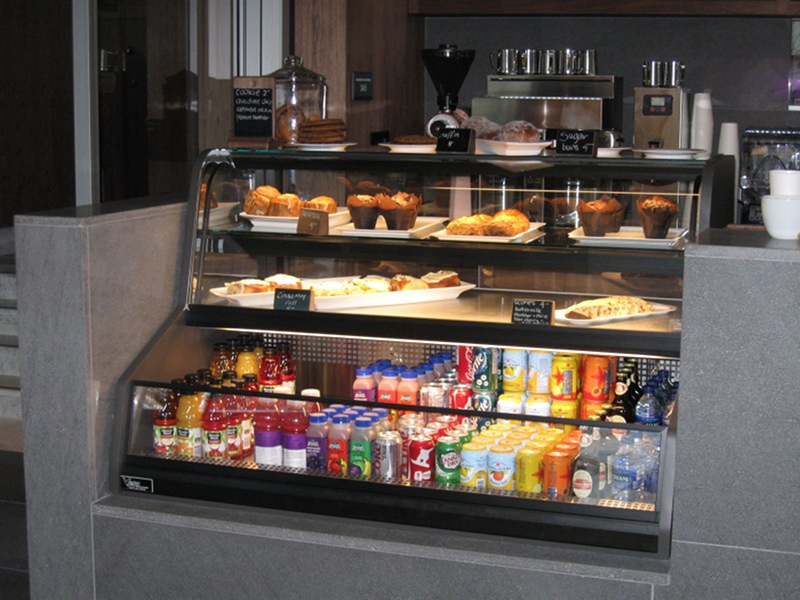 Vega’s Coffee Bar Showcase Series is made up of our hybrid Showcase and our “Grab n Go” Showcases. 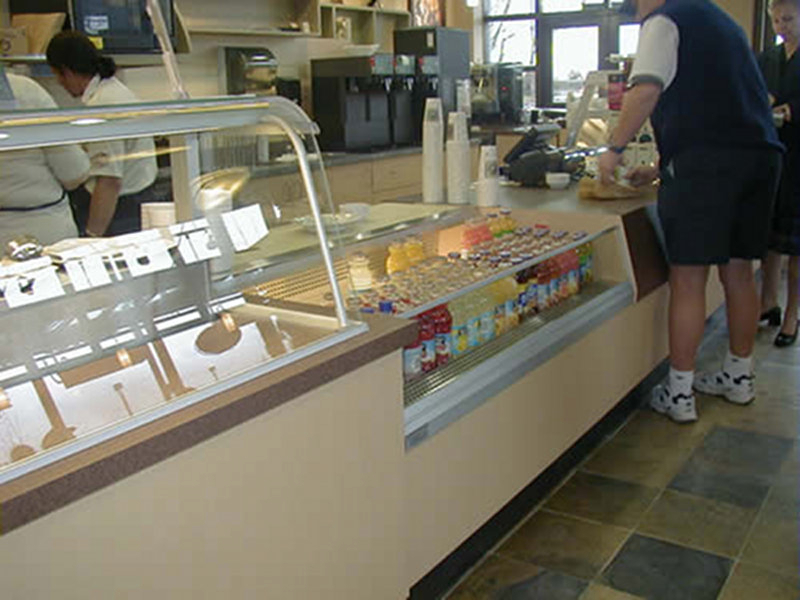 Depending on the model selected this series has the convenience of self-serve, and is built to your specifications to allow you to display more products and serve more customers. 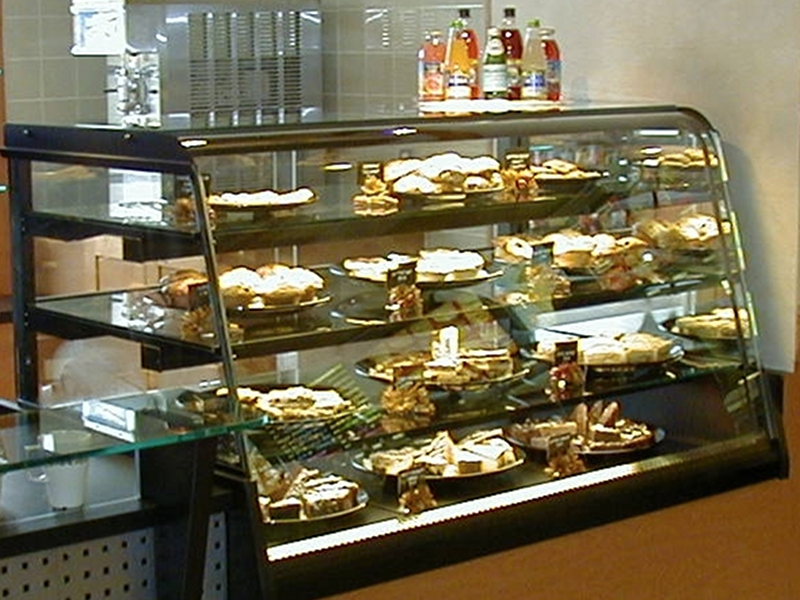 You carry a variety of different products at your coffee shop, and our custom coffee shop showcases provide consistent and beautiful display solutions for all your product lines. 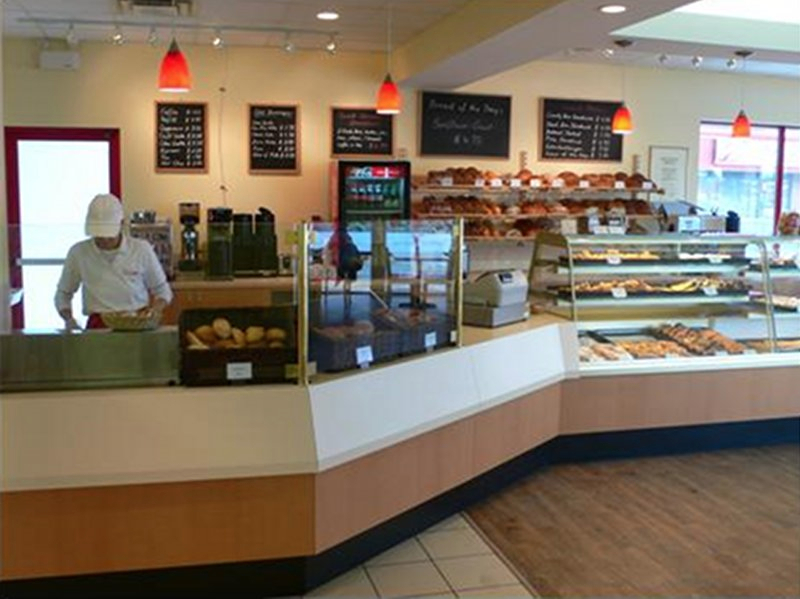 Vega’s Hybrid Showcases are specifically designed with the coffee shop in mind. 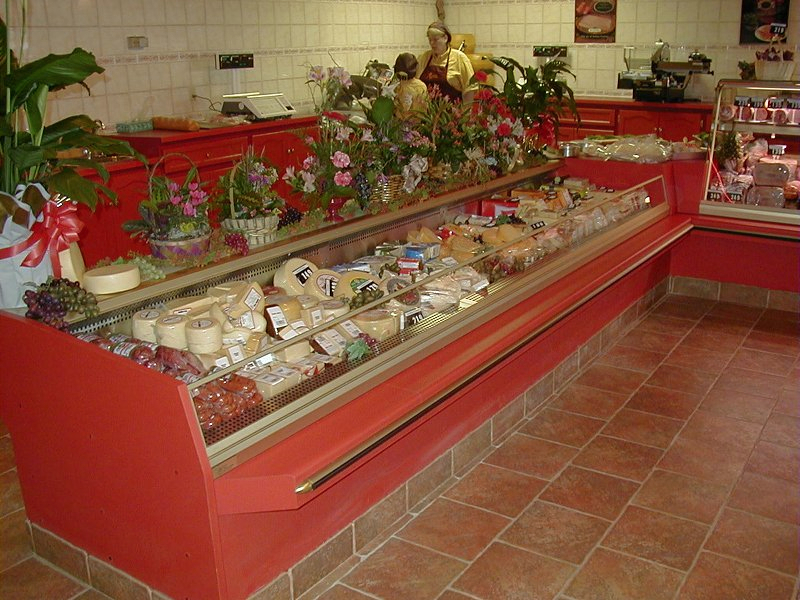 These product display pieces provide a compact split showcase, with both refrigerated and dry sections. 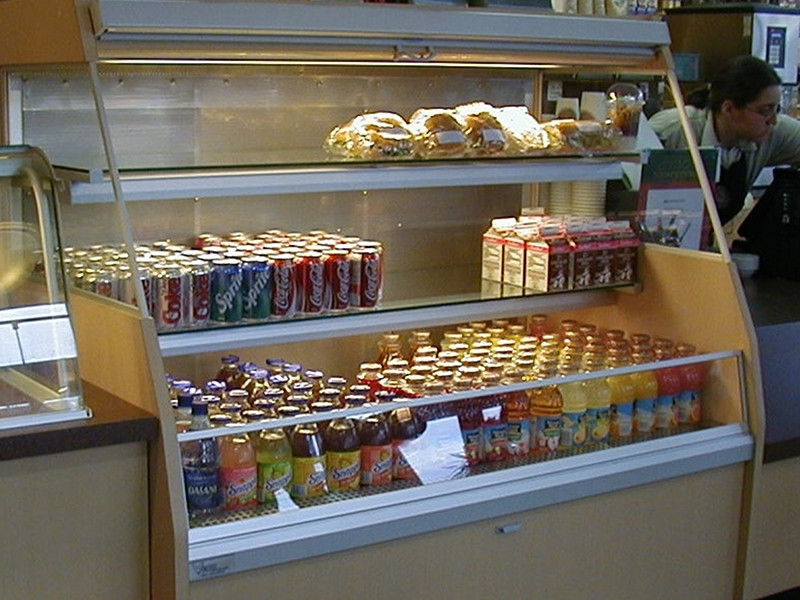 Items such as muffins, cookies and brownies can be placed on top, and cakes and pastries on the bottom. 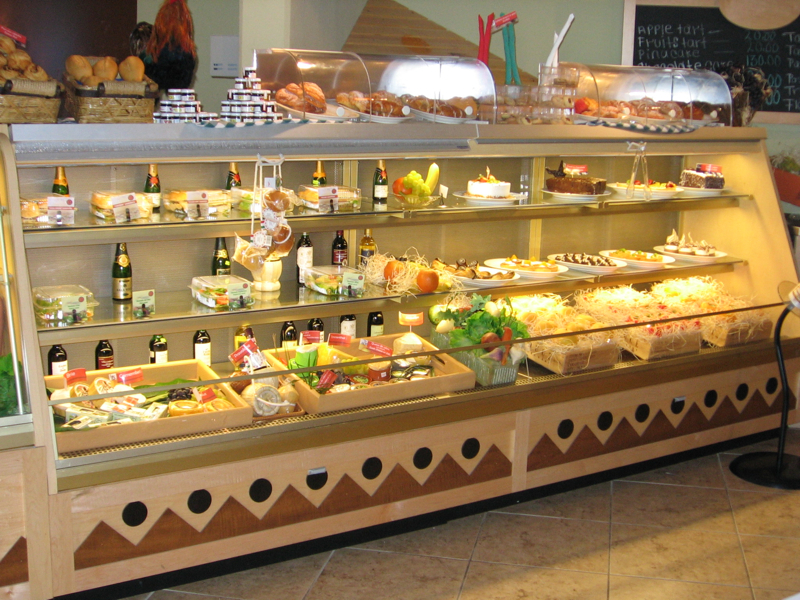 All of our showcases are custom built to fit seamlessly into your existing colour and design theme.